Tired of the rat race? Want to get out, but don’t know how? This true story of a three decades world traveler, who turned into a mystic on his visionary quest for freedom, carries a profound message that could be the key to a hidden pathway leading out of the maze. 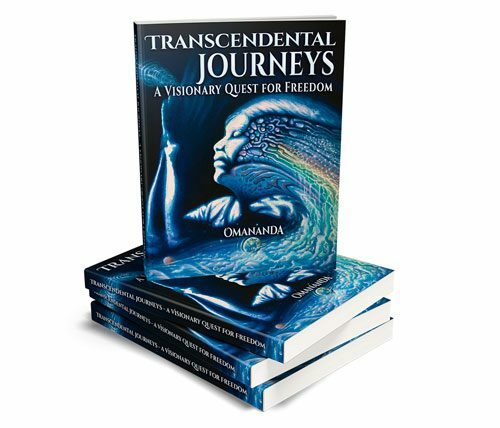 The Visionary Writings of Omananda inspire direct action towards the profound shift in perspective that is required today. The author’s unique viewpoints result from having grown up indoctrinated in an oppressive communist regime. Torsten E. Klimmer aka Omananda risked his life and escaped from East Germany, before the Berlin Wall fell. He swiftly realized after his escape that physical freedom was not enough to be liberated from the paralyzing conditionings of the mind. Somewhere on his transcendental journeys the author, artist and filmmaker began to comprehend that there is more to life than we commonly perceive, or what we’re told. 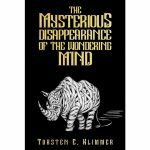 Discoveries in exotic places and shamanic dimensions are slowly revealed during this nonfictional cosmic adventure that offers an exciting view into the visual, spiritual, and practical possibilities available to anyone with an open mind. 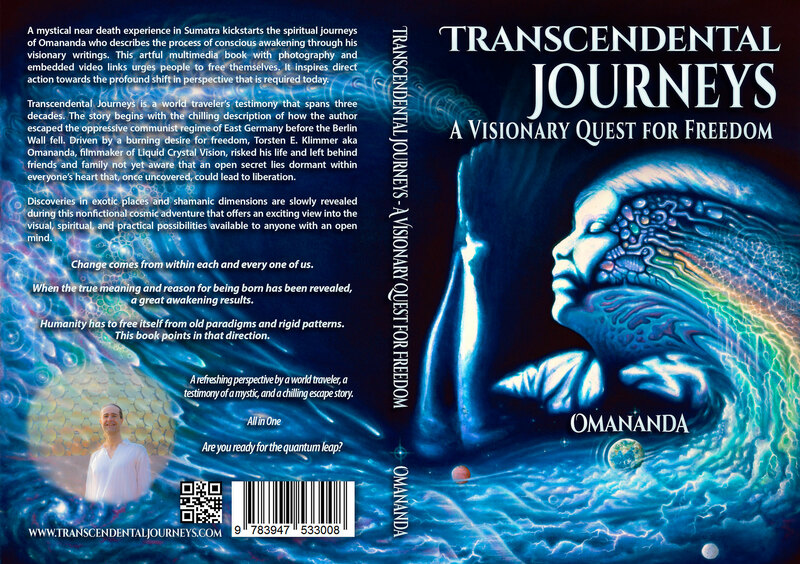 Omananda has been initiated into the mystery through various teachers, mystical near-death experiences and transcendental visions. 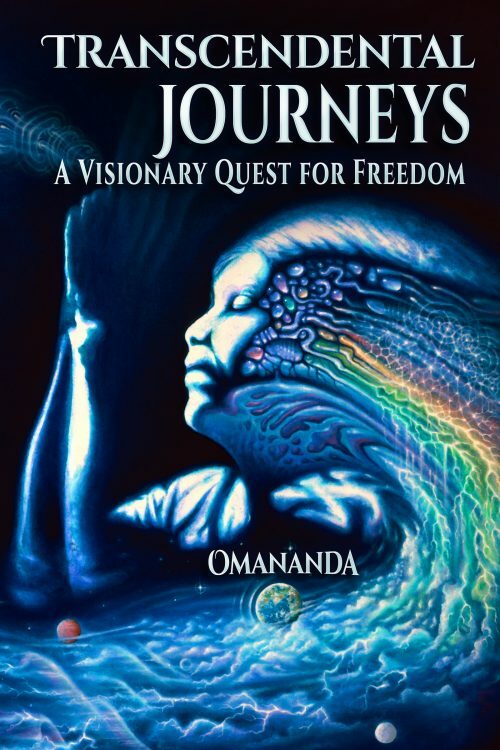 Integrative experiences with the medicine are described with visionary brilliance throughout many chapters, but especially in the second half of the book. The author has had direct contact with indigenous medicine tribes that have used psychoactive cacti and herbal healing plants since immemorial times. The prayer-ceremonies in which the indigenous people utilize those psychotropic concoctions are an integral aspect and the foundation for their colorful, artistic and spiritual lives. Omananda also writes about drug addictions that are on epidemical levels in many Western countries. He lists successful harm-reduction practices that suggest smart drug-policy updates. Unique plans for preventing scheduled substance abuse are introduced in this book that simultaneously advocates the legalization of mind-altering and sacred herbs under controlled conditions outside the pharmaceutical, medical, or religious framework. The author clarifies in simple terms for anyone, and especially those who should be all ears, even if they drink alcohol or smoke cigarettes, why what is considered normal or legal is not necessarily safe. A deeper reasoning builds throughout the book. The language changes from the beginning towards the end, which goes hand in hand with the author’s character development. The book starts with a somewhat ordinary and ignorant, although curious, perspective and it ends with, well … that is open for you to find out.